First off, we would like to thank everyone for your feedback on all our previous prototypes – especially the PC-A51 which we just announced revisions to. On to our very special new project. Since desks and PCs have always had a symbiotic relationship, we decided it would only make sense to combine the two – in our new desk chassis prototype: DK01. 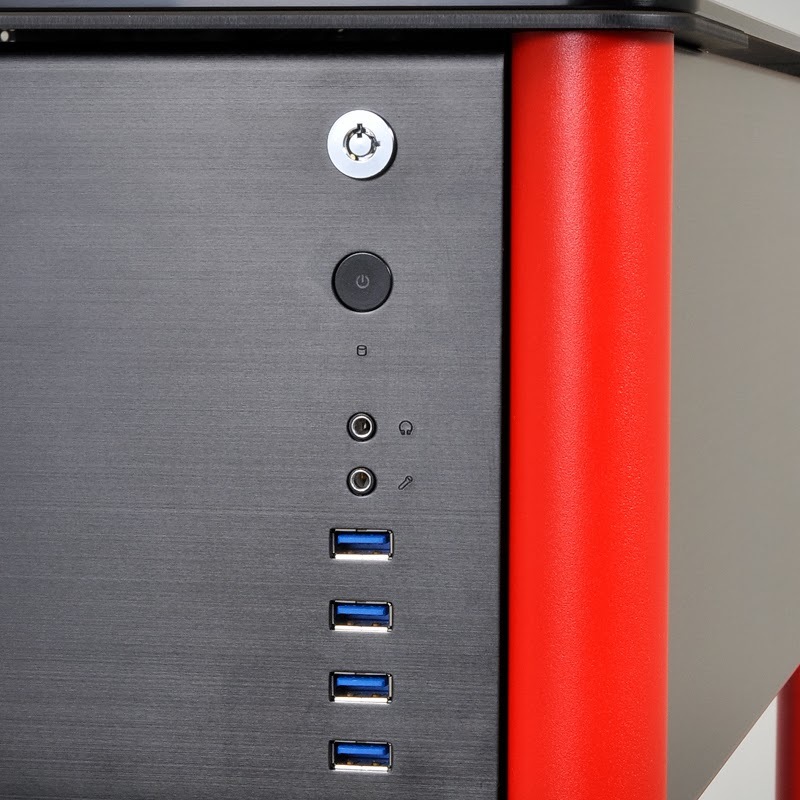 Constructed mostly out of aluminum, our newest prototype is unlike anything we have designed before, yet includes many of our familiar high-end features, including a brushed aluminum finish, modular HDD bays, tool-less mounting, and a minimalistic design. 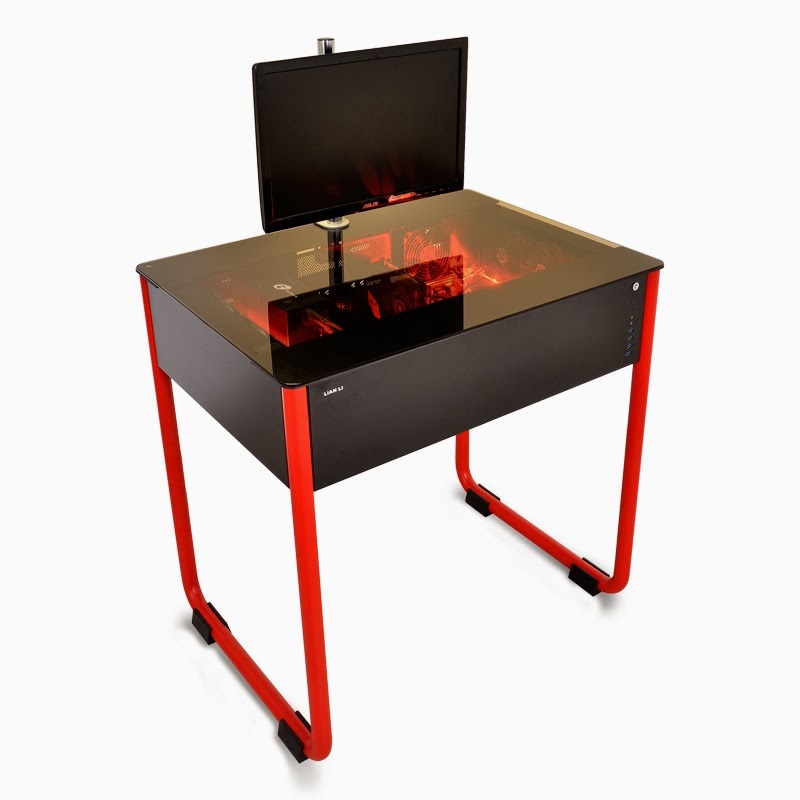 The LEDs, glass cover and monitor mount are planned to be included. 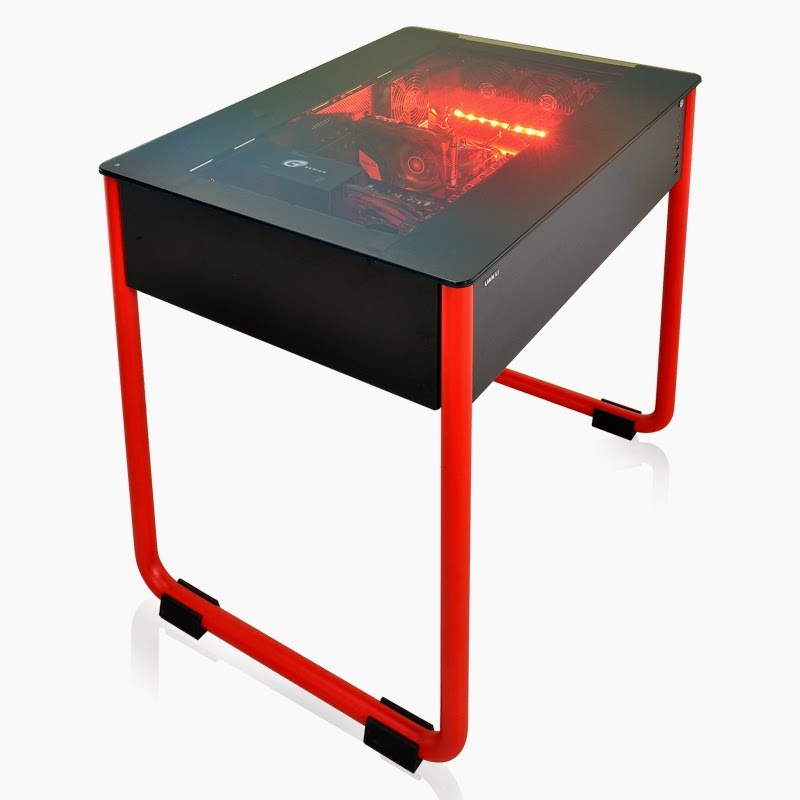 Check out the pics and specs below and let us know what you like and dislike, as well as reasonable changes you would make, so that we can provide the best desk chassis possible. We invite your comments. Will there be any easily removable fan filters? Is there a way to allow 140 or 200mm fans to be used? 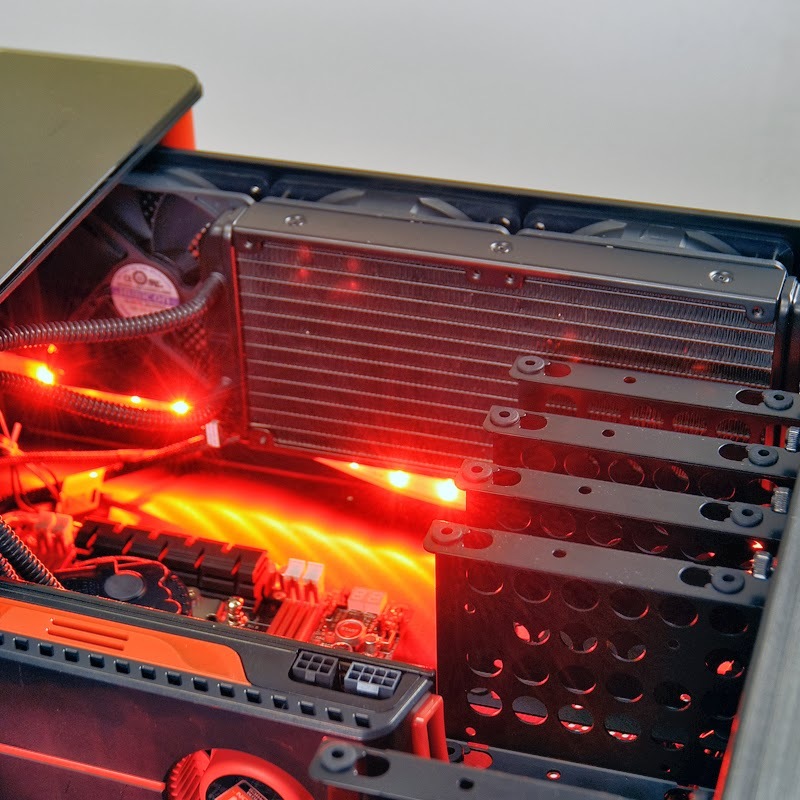 Increase the depth at the back to allow additional fans for air intake or exhaust. Allow sound deadening material to be installed. Offer an optional kit to allow the DK01 to be installed in an existing desktop surface similar to how a sink is installed in an existing counter top. I'll be happy to be a beta tester for the DK01. Will tempered safety glass be used? The front I/O panel location might be a problem at work or at home. A better location might be a vertical box on top of the glass surface at the back of the table. 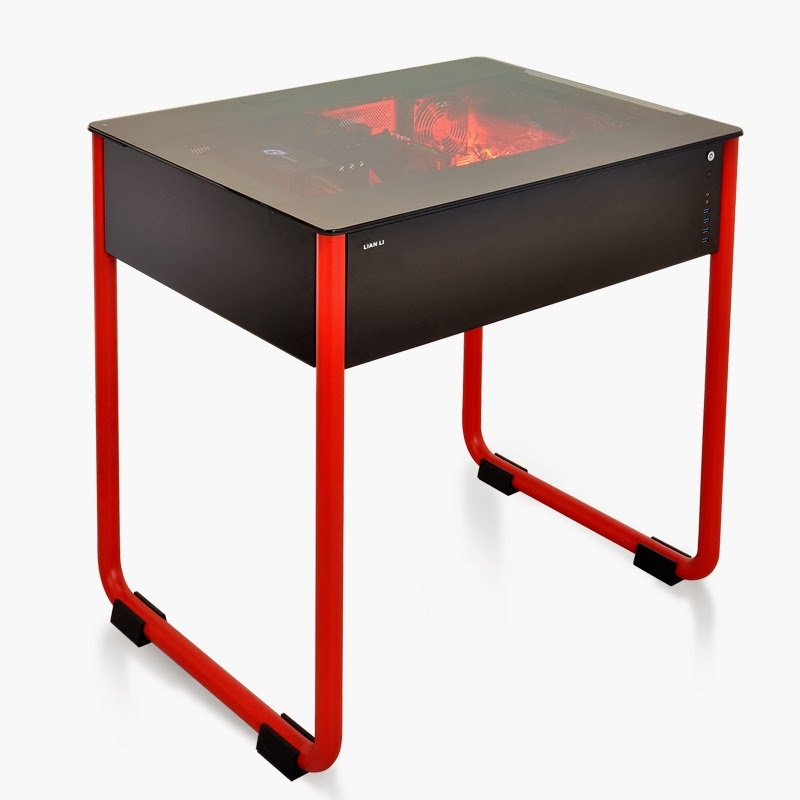 This makes a solid gaming station but I think the term Desk might be a bit overstating. You could certainly lose the red legs for starters. Brushed aluminum or stainless steel would add a lot of class to the styling. At least match the legs to the silver finish of the dual-monitor mount. 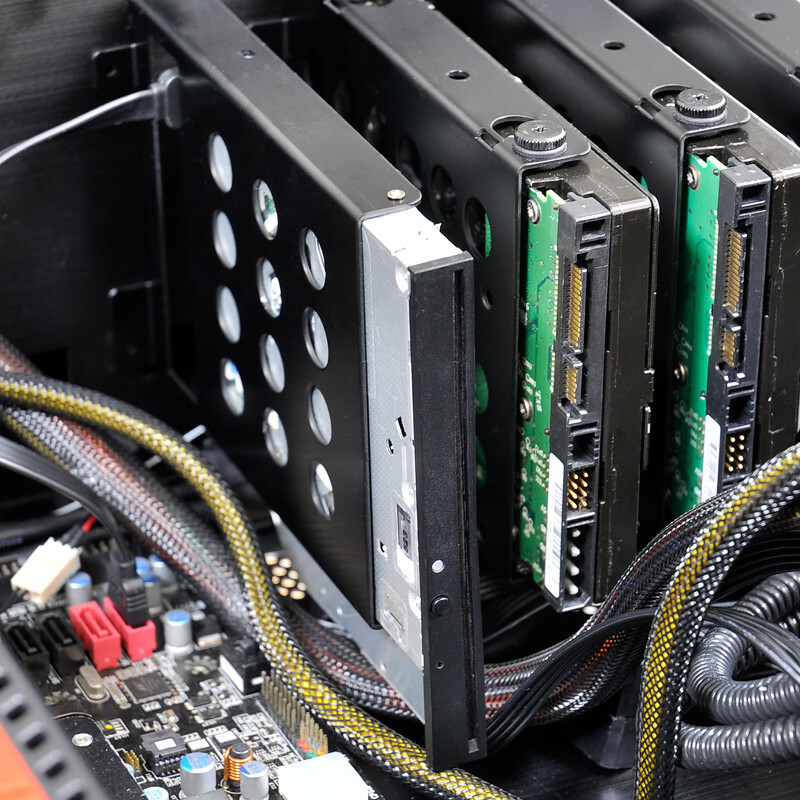 With that many hard-disk bays, I think they'll need some fans blowing lengthwise along them to stay cool. That would mean the slide-out panel that faces the user (in these pics) would require a series of fans across it, which would prove quite unattractive. I'd suggest tasking an engineer to create a slide-out 10-disk HDD bay on the right- or left-side edge of the desk instead. Moving it as such would probably require quite a bit of re-wiring, or even a custom-engineered SATA/NAS terminal and power connection. I think this is a fantastic idea, and I strongly agree with profJim's suggestion to make this mountable on an existing desk or table. 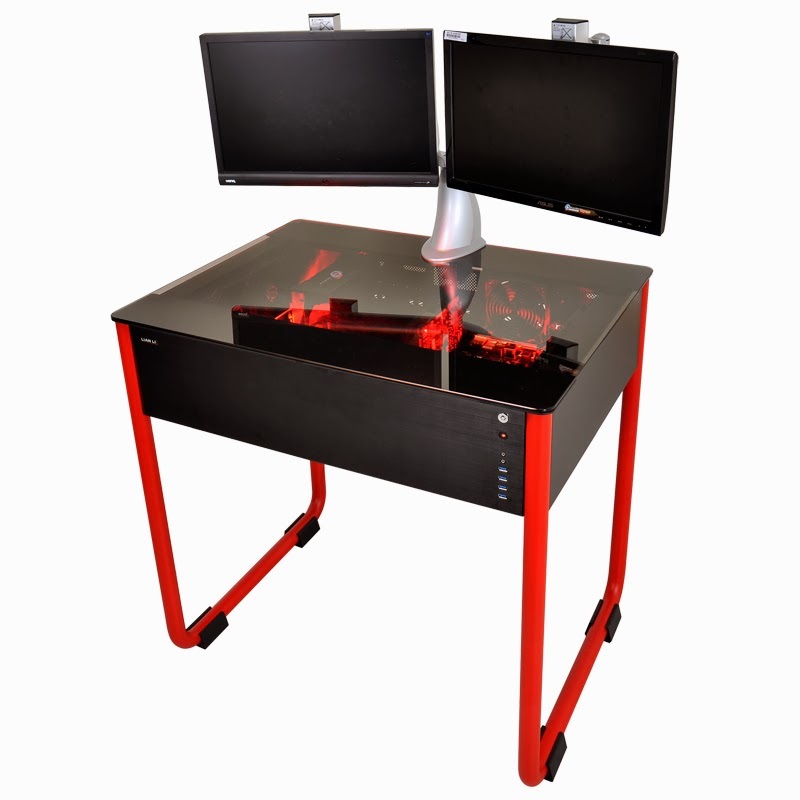 I really want a computer case integrated with a desk, but I don't want the only option to be a 30-inch red kiddie desk that's barely wide enough for a keyboard and mouse. 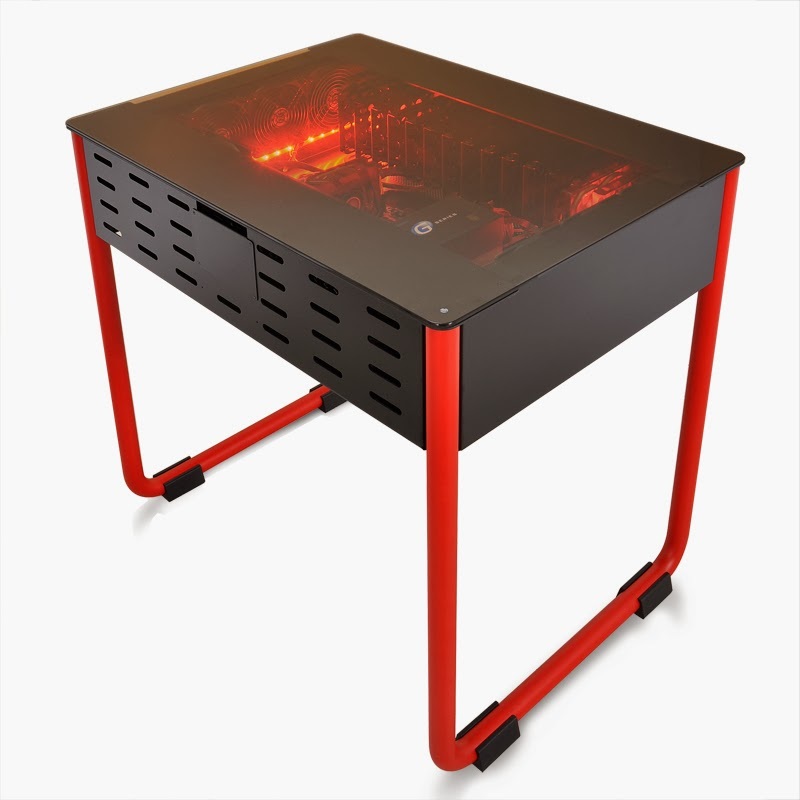 I would like to get a wooden table in the size, color, style I choose (from IKEA, for example) and mount this case underneath. The glass window view to the interior is not nearly as important as saving space and clutter. -14 HDD/SSD bays seems like total overkill. 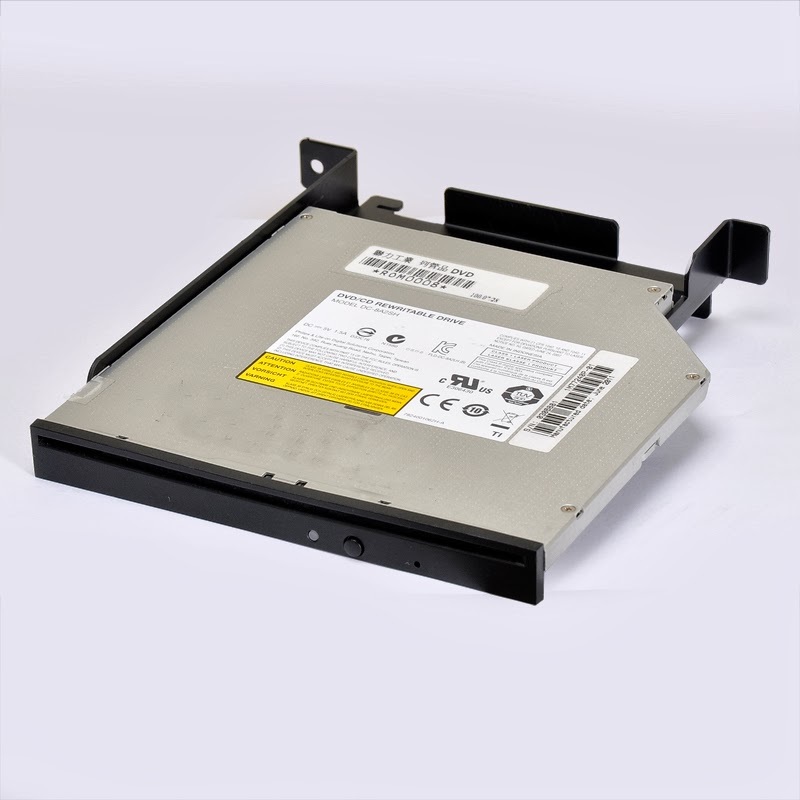 Anyone with a 10+ HDD's is probably going to want them in a server closet, not on their lap. -The interior-facing ODD is very, very kludgey. With so much room to work with, there are about 10 better ways to do it. 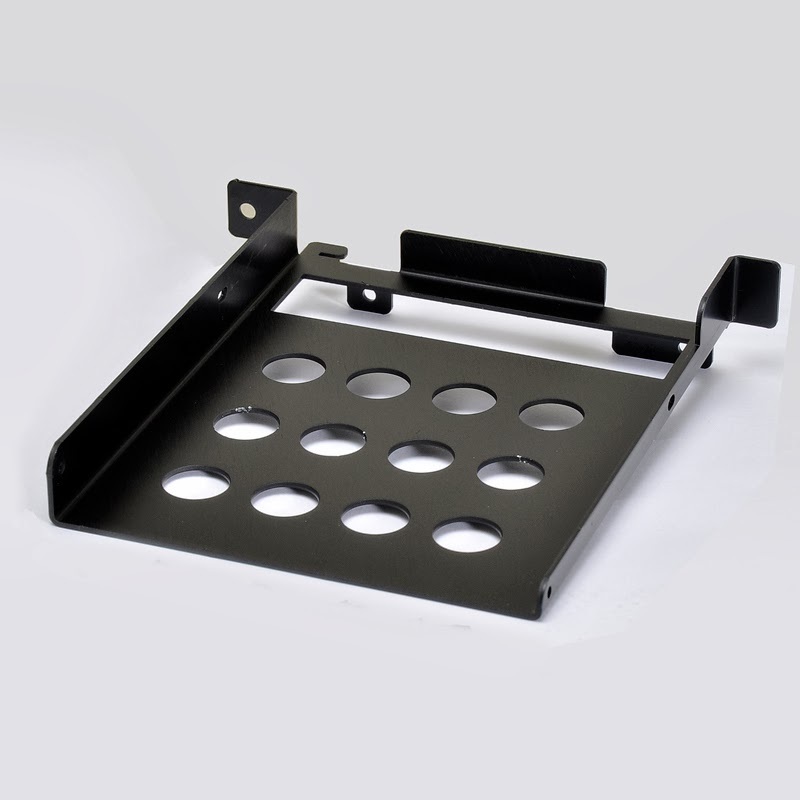 If you start with the idea of a case that will be mounted under a desk, it could be thinner, wider and vent through the bottom - more like an HTPC case that is 4 inches high and 30 inches wide. 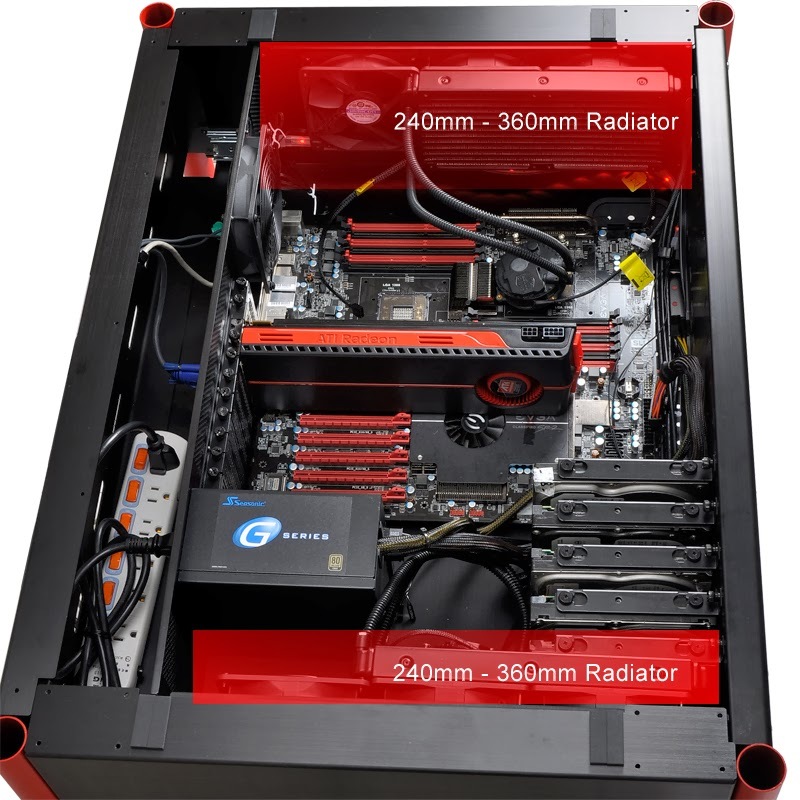 A 240mm radiator could be mounted horizontally, parallel to the desktop, drawing air up into the case next to the motherboard. 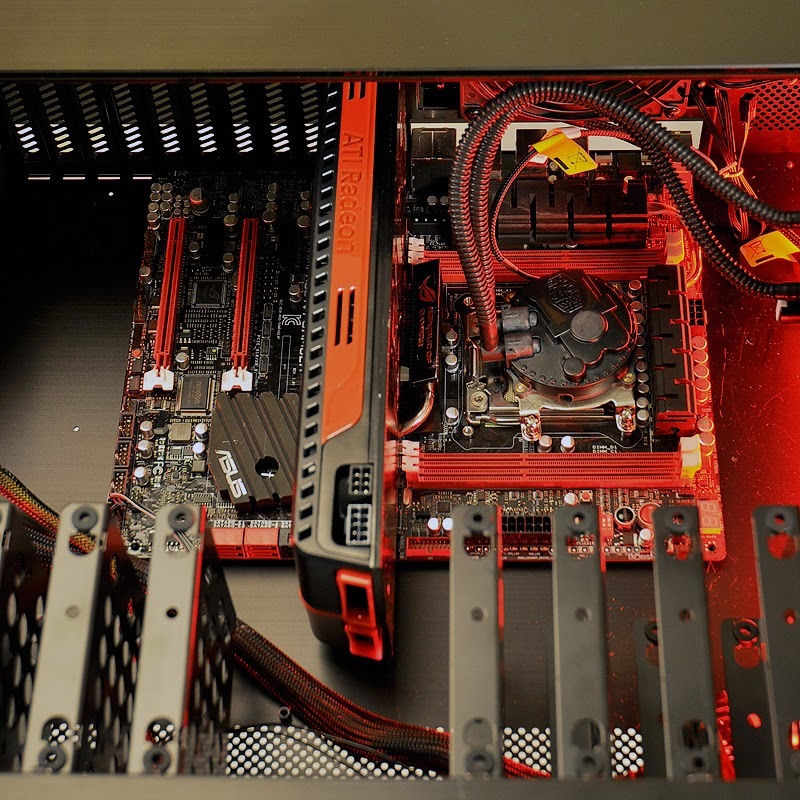 A PCIE riser could do the same for the GPU. 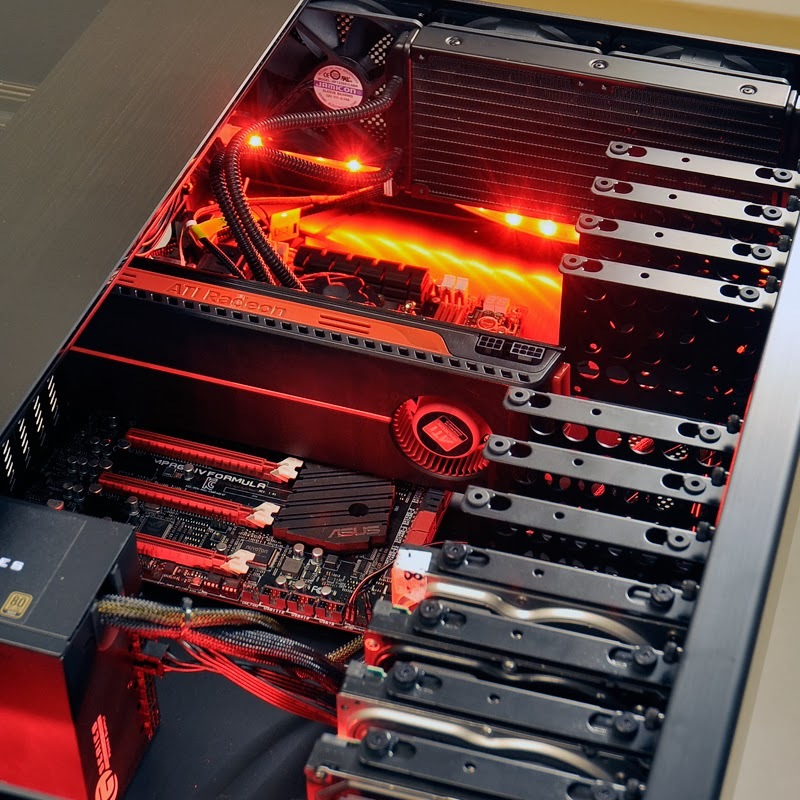 The number of available drive bays is not excessive when you consider that the DK01 will accommodate motherboard sizes from FlexATX up to EATX sizes. The length of long video cards or a very long, high wattage power supply will make many of the drive bays unavailable for some users. 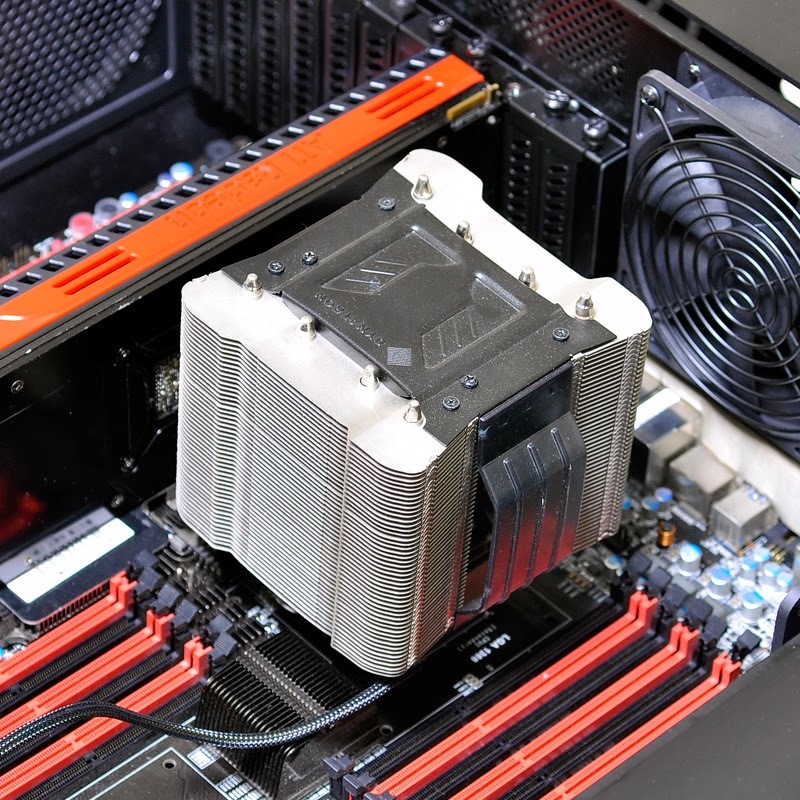 I assume that the Lian Li engineers will be doing some serious thermal and air flow testing as the design evolves. I have additional concerns that deal with the cooling fan airflow restrictions at each end of the case. Maybe the kiddy leg setup could be an optional DK01-KIDDY model and the standard product would be DIY install in the owner's table. An additional model setup might be required for business customers who will want to install the DK01-BIGBIZ model in existing cubicle work areas. I'm curious as to what Lian Li's retail price target is for the DK01? Modular legs or some variation of removable/retractable legs. That should make moving the CPU around easier especially out of the house. How about putting the drives in cages rather than laying them out like that? Would save plenty of space. Preferably some dedicated SSD mounts along the bottom. PSU mount - could mount it laying down instead of sideways. Front I/O location could be better though, as stated. Is there space underneath the mobo tray? The images suggests so but also show the 24pin atx power snaking just underneath the drive cages. My favorite animal is the scapegoat. Yes, the fan filters are easily removable. 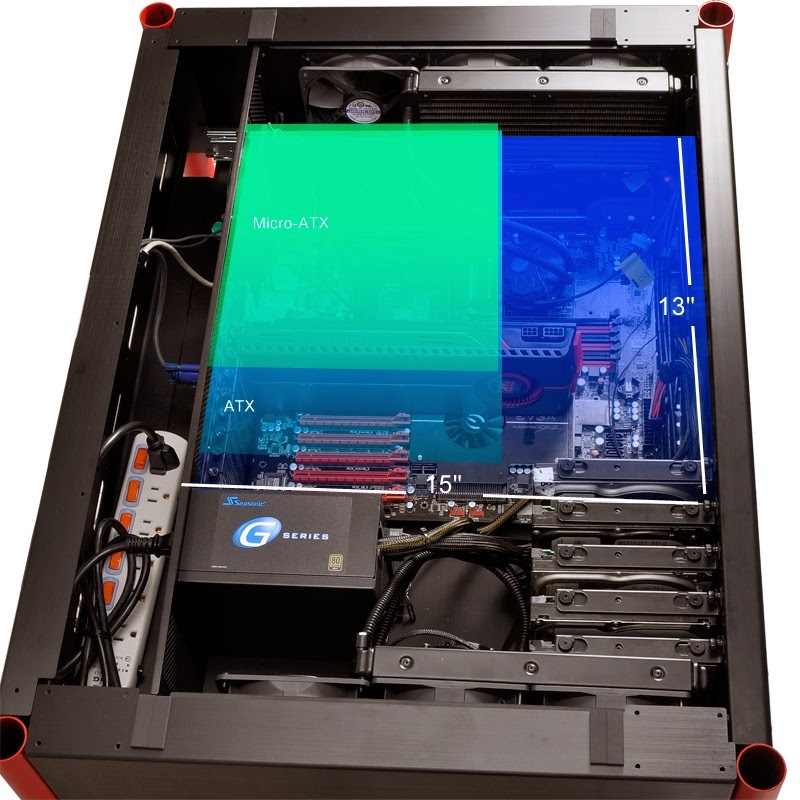 Of current, only 120mm fans will fit, but we can think about changing - we would have to change the depth however. Sound dampening material is a good idea. For your other questions - we haven't completed decided on the glass to be used. Also, the I/O panel current location has been commented on by a lot of people. We will have to think of another location. However, we want to be careful not to take up desk space with the location as well as it being easily accessible. All times are GMT +8. The time now is 06:58 PM.